Non-corroding, no metal residual, no sensitivity. Water mesotherapy is to inject hyaluronic acid into skin. Hyaluronic acid contains moisture, 200-300 times as rich as one's body. In order to keep the skin hydrated, ladies choose varied skin care products. Actually, skin care products only hydrate moisture on the cutin. So that over smearing those products cannot deeply provide moisture for the skin. As we know, acne, wrinkle and inelasticity would appear if skin lacks moisture. Water mesotherapy will solves all the problems by reason of lacking moisture, such as sallow skin, color spot, wrinkle… And it will supply moisture for dermis. 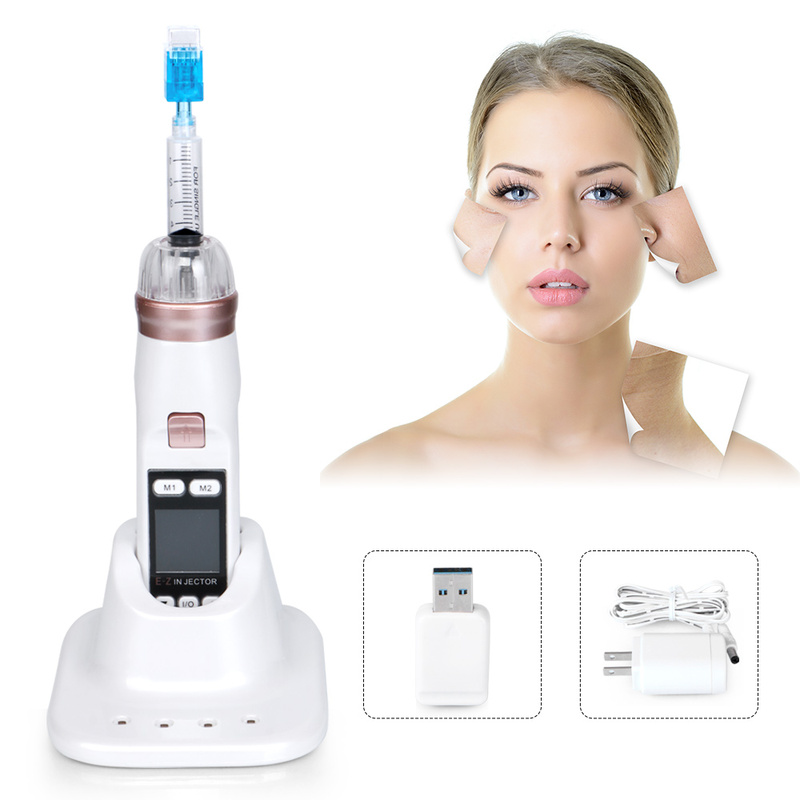 Therefore water mesotherapy will works well on whitening, moisturizing and renewing inelasticity. Mesotherapy is to inject hyaluronic acid into deep skin. So that it makes the skin smooth, soft, bright and hydrated after the injection.